New year not only means we can start a new page, it also alert us that exams are approaching. 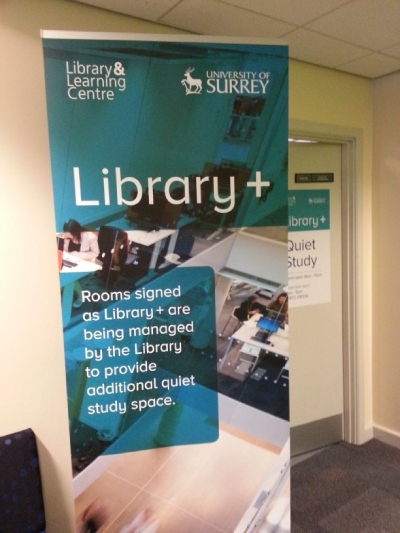 In this academic year, Surrey’s student may have realized that the university has launched a lot extra to support our study journeys(Not? check your mailbox and keyword-search ‘studentnews’). I am not sure what have other universities done in regard to the exam period, but I definitely appreciate every benevolent move the university has done only for the sake of students. 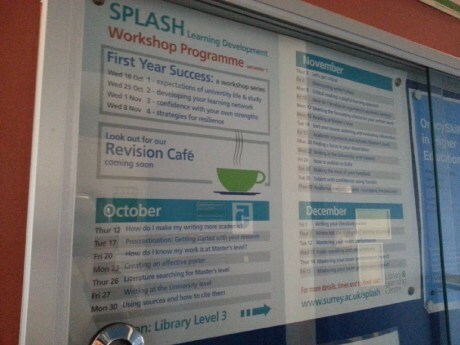 SPLASH is the university’s learning develop team located in library Lv 3. 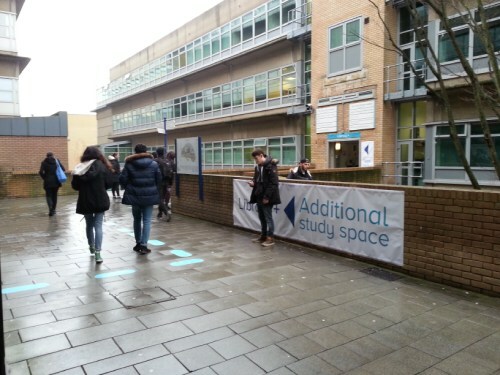 The experienced student learning advisers offer a variety of academic supports ranging from referencing skills to revision techniques to all Surrey students via periodic workshops , one-on-one appointments and afternoon drop-in session . It happened few days ago when I passed by the library, it came to my attention that there are some dotted pink blue signs painted on the way to the AC building. The Library+ is a pilot scheme aiming to maximize the available resources provided to students during the exam period. Extra quite study space for students. There is one really thoughtful move which you might not be found it other universities : Complaint about noise. For some reasons at time some students may not notice that their hubble-bubble is disturbing the rest in a study room. 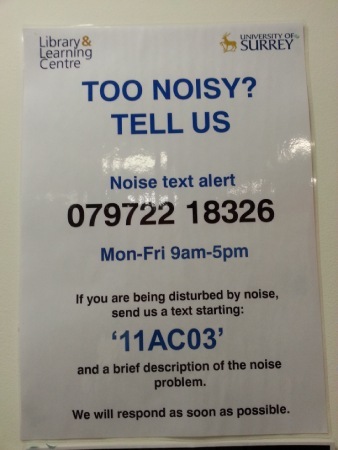 This text service is useful in a way that once you report a noise complaint, a member of staff will straightly arrive and advice the students to respect the rules. 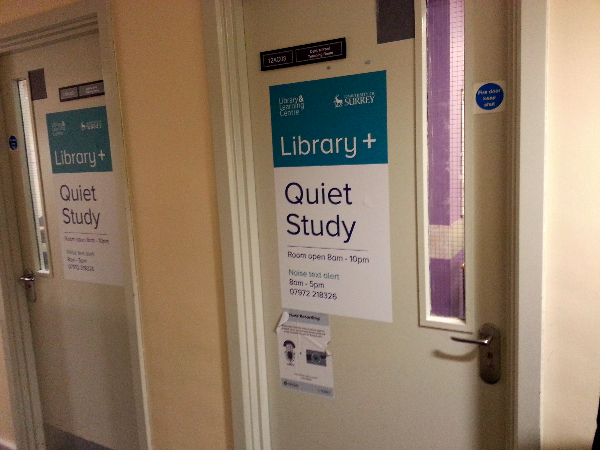 It can definitely avoid any unnecessary hostility between students while a quite study space for all can be reassured. 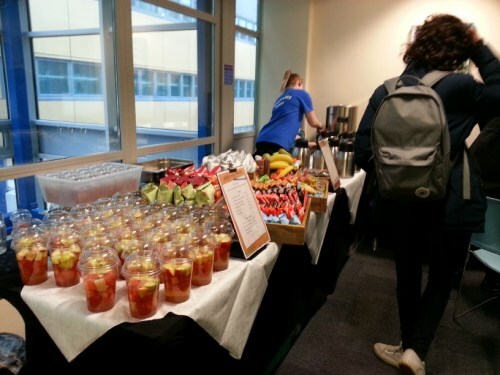 Another pilot scheme by the library is the provision of refreshment to all exam fighters ! 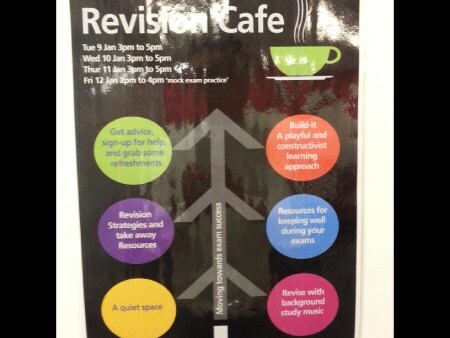 The University has trialled initiatives to maximise student satisfaction for revision on campus. 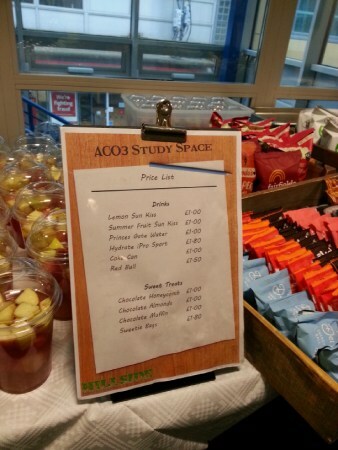 During the exam period, 11 a.m .to 5 p.m. , the university operates a catering pop up that supplies fruits, hot tea, hot coffee and herbal infusion for FREE. 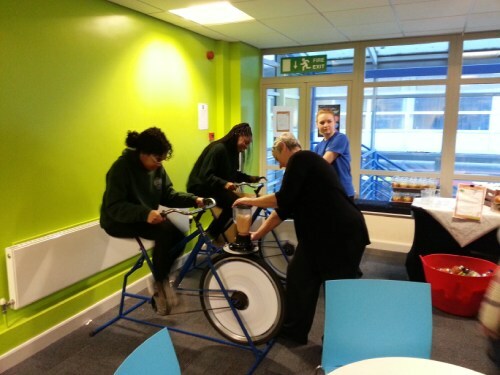 And one thing new to all Surrey students is the smoothie bike – Students can create a own-branded smoothie whilst energize with a bit of exercise for FREE. Not hard to know why it is always in popular demand. Apart from the warm-hearted support in daytime , there is also instigation taking place during the exam period in the evening and at night. A buffet style hot food offer is introduced with a different theme (which includes Chinese, Mexican, Indian, Moroccan, Italian and more) each night from 6pm to 9pm in Hillside resturant. 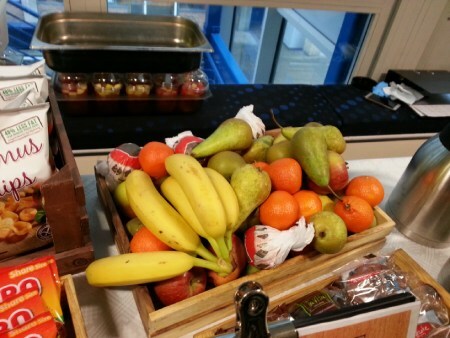 Students can fill up a dinner box with whatever for only £4. 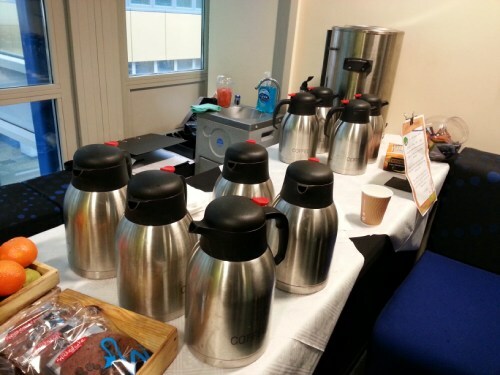 In addition, hot tea and coffee will be supplied for FREE. 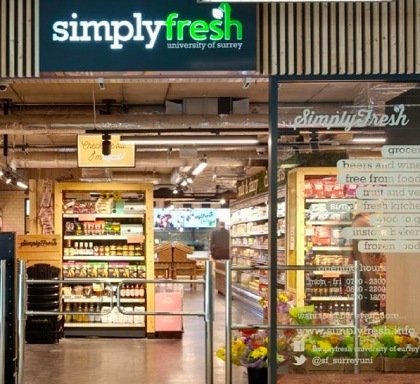 The retail shop Simply Fresh in the library will open 24 hours during the exam period. Glad that Surrey has been putting much efforts in motivating students’ academic achievements and supporting students’ mental well-being. We may all come across frustration at some point, however it is good to know supports are always there for us. Good luck for the exams. That’s all for now.